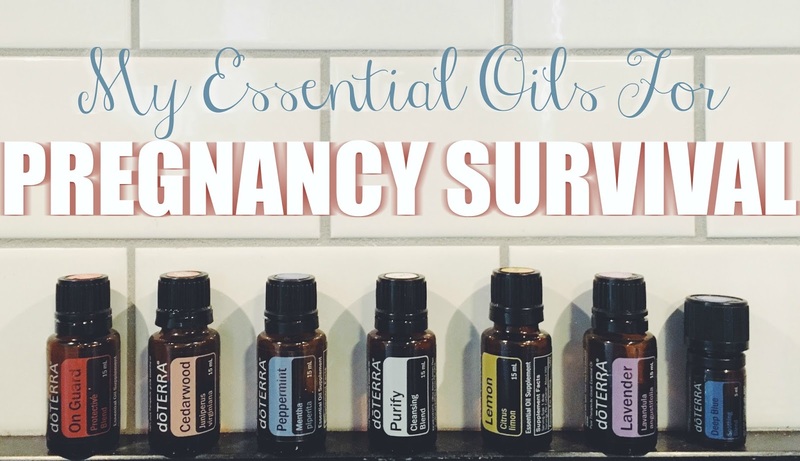 My Favorite Essential Oils for Pregnancy!! So far at least. These bad boys help SO much!!! I will share why and what they help left to right! On Guard: I have been sick with colds in my first and second trimester and ughhhh it was the worst! Let me tell you that this guy cut my sickness in half! Plus I diffuse it all the time, not only because it smells good but because I am convinced it protects us from other germs. Cedarwood: I can't sleep without it. Seriously! I diffuse it ever night! It also helps keep me asleep and so far has helped with my crazy hormonal dreams that were keeping me up at night! Peppermint: Pregnancy headaches are a thing and this stuff helps them IMMEDIATELY! No joke. Also during the first trimester I clung to this stuff. It helped a lot with my nausea and just waking me up from those first trimester blues. Purify: When you are pregnant you have SUPER sense of smell. It's super weird! You also smell the GROSSEST stuff, like your trash can outside. For real, diffusing this stuff mutes all those smells! Lemon: It smells and tastes good in your water! Simple as that. I crave lemon right now. Lavender: Need to relax? Diffuse some lavender! I will put it on during yoga or a workout and it really helps loosen me up and it smells good. Deep Blue: It's like a natural icy hot! 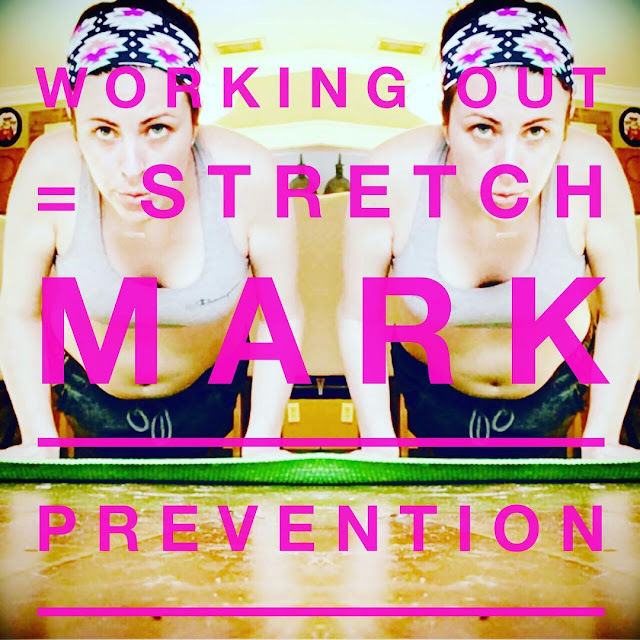 Everything aches these days and it makes a HUGE difference on my sore aches and muscles. What are your favorite essential oils, during or outside of pregnancy? Soooo I was sick of not being comfortable when I was sleeping so I decided to run to the store and purchase this guy off my registry. It's the Boppy Custom Fit Total Body pregnancy pillow. I AM LOVING IT! #1 Because it's custom! I can Velcro it together and tear it a part based on my needs. Currently, I am just using the longer piece most nights. Some nights I use the round large piece to support my back. By the end I will probably use all of the pieces to support my body. #2 Its not HUGE! Its compact enough to fit in a queen size bed with two people. Some pregnancy pillows take up way too much space. #4 It has a cute neutral design that can be removed and washed. #5 Bryan (my husband) thinks it looks like a seahorse…if only men really did carry the babies like seahorses do. 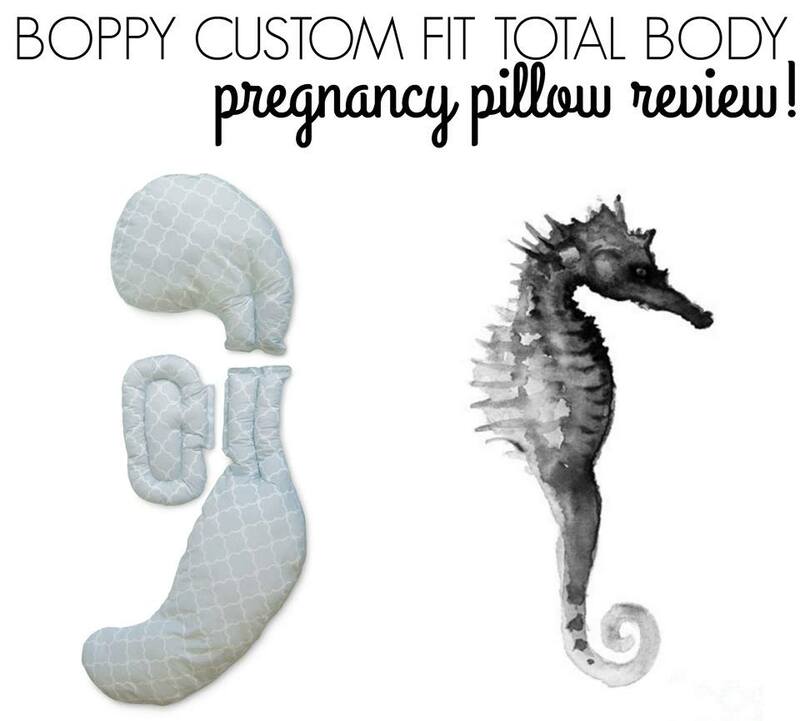 Which pregnancy pillow do you love and WHY??? Maintaining a healthy and active workout regimen throughout your pregnancy promotes skin elasticity. 💪🏻 How cool is that? ?